Our Bachelor of Business Level 7 degree programme is accredited by Quality and Qualifications Ireland (QQI). 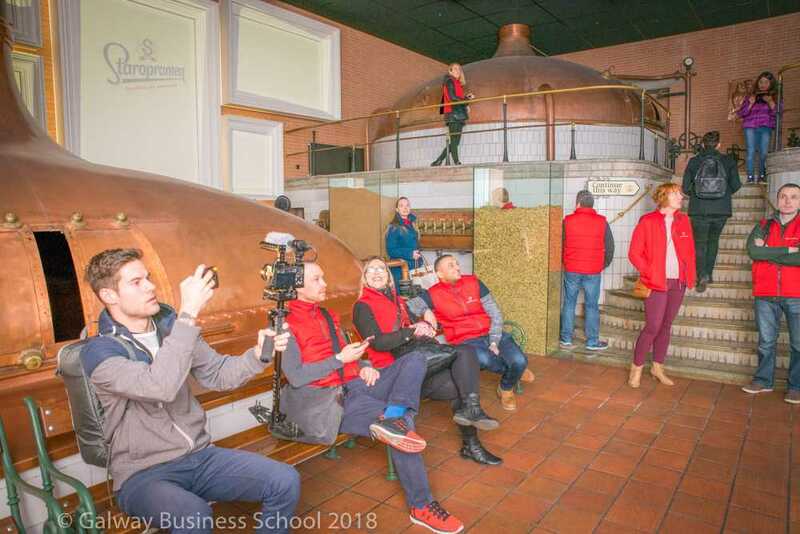 The classes for the bachelor of business degree programme classes take take place in the Galway Business School based in Salthill, Galway, on the west coast of Ireland. This internationally recognised degree will provide you with the most up to date and key information that is required to ensure a successful career in business. The Bachelor of Business degree aims to equip you with employment focused, transferable skills that can be used in any business sector. Throughout the course you will learn how to communicate effectively to both managers and colleagues. This will be supported by your ability to better comprehend best business practice and use these tools to provide solutions to real life business issues and concerns. In the dynamic world of business in order to be successful you are required to be both creative and innovative. The Bachelor of Business focuses on providing students with the knowledge on how to be innovative and how to manage creativity in the workplace. On completion of the course you will be confident that you can successfully achieve your goals in any business sector. Learn the essential business models, concepts and frameworks that are the building blocks in successful business environments. Gain the ability to analyse and plan strategic business decisions in the areas of finance, marketing, information systems and human resource management. Be able to comprehend current business problems and predict future concerns. You will be equipped with the knowledge and tools to sort and interpret these issues, along with providing solutions. Enhance your communications skills. At the end of the course your will be able to communicate key business information confidently, clearly and effectively to both managers and colleagues. Be prepared to work in multidisciplinary groups in any multinational organisation worldwide and be a fundamental member of the team. "It is a great way for any foreign student to develop an international business mindset and to gain crucial knowledge regarding business and management via tours, case studies and group work, as lecturers are extremely helpful, interesting and supportive." The Bachelor of Business Level 7 for Non- EEA require students to hold a High School diploma equivalent to the Leaving Certificate – Minimum 5 passes O6/H7s or equivalent. We would advise all international students to visit the NARIC website www.naric.ie to get advice on the academic recognition of your International qualification by comparing it to the Irish National Framework of Qualifications (NFQ). We would welcome all students who have any questions on the application process to contact us directly by email admissions@galwaybusinessschool.ie or by phone 00353 91 529000 and we would be happy to assist you in applying for the course. Entry requirements in to the bachelor of business degree programme also requires non-native speakers to hold IELTS 6.0 or equivalent. For levels lower than 6.0 IELTS, we would ask students to undertake a 6-12 weeks minimum of English language exam preparation course. This is a mandatory requirement and the course will take place in our language school Galway Cultural Institute. The Bachelor of Business Level 7 degree programme runs over 4 afternoons per week (Monday – Thursday). Lecturers use Blended Learning to deliver the course material by face-to-face lectures and online e-tivities. There is an emphasis on the practical application of theory so students will learn through case studies, group activities and research projects. Throughout the course lectures will promote creativity and innovative thinking. Applications such as on-line simulations and new business development project allow students to apply their creative and innovative thinking throughout their coursework. During the Bachelor of Business degree programme you will be assessed through a number of different mediums. Assessments can take the form of individual or group assignments, presentations, mock interviews and written examination. Students who are considering undertaking this course may be asking "What job can I get when I complete a Bachelor of Business Level 7 degree?" or "Is it worth undertaking a Bachelor of Business degree?". Well, the answer to these questions lies in the number of options that are opened up to you once you have successfully completed the degree programme. The degree allows you to move forward to higher levels of academic achievement. Once you have successfully completed the course you will have opportunity to continue your studies through our level 8 Bachelor of Business honours degree in International of Business. Alternatively, you to apply for postgraduate courses in third level colleges in Ireland, and worldwide. The Bachelor of Business is your first step towards a successful career in business. There are a number of job paths that are open to you once you have completed the degree. You will leave the degree programme work ready and confident to apply for a number of different job roles in a numerous business sectors. You will soon realise that all the hard work and persistence was worth it. Graduates of the degree programme will be able to apply for positions in the business sectors of; Marketing, Human Resource Management, Business Development, Information systems and Finance in small to medium sized businesses (SMEs) and large organisations in Ireland and worldwide.